Stainless steel handles and pliers. Supplied in nylon pouch with belt attachment. 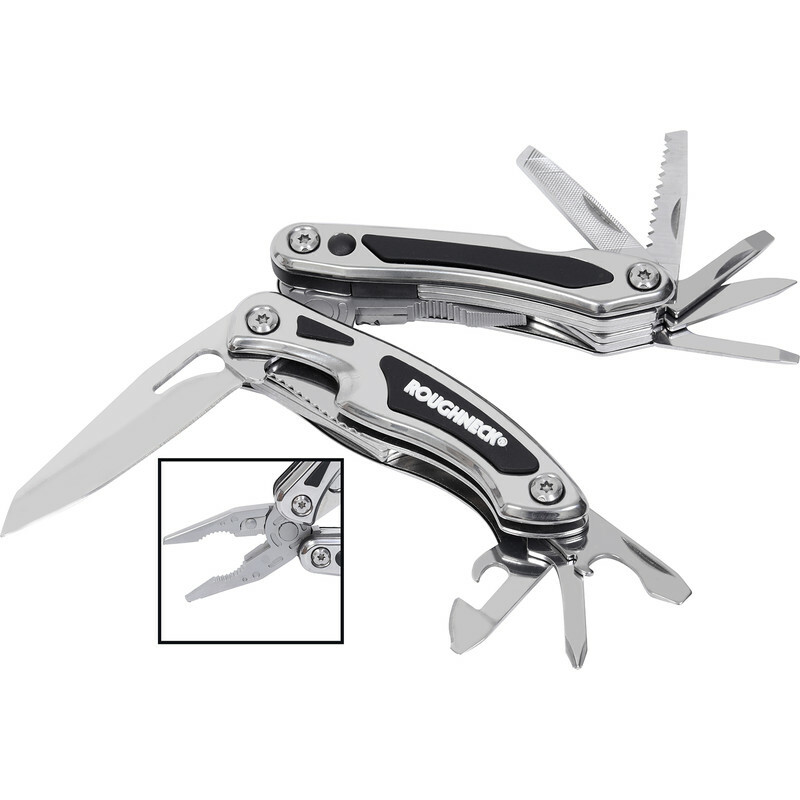 13 functions: Needle nose plier, regular plier, wire cutter, large knife, small knife, saw, nail file, 4 x flat screwdrivers, philips screwdriver, bottle opener & large flat screwdriver, can opener, LED torch.